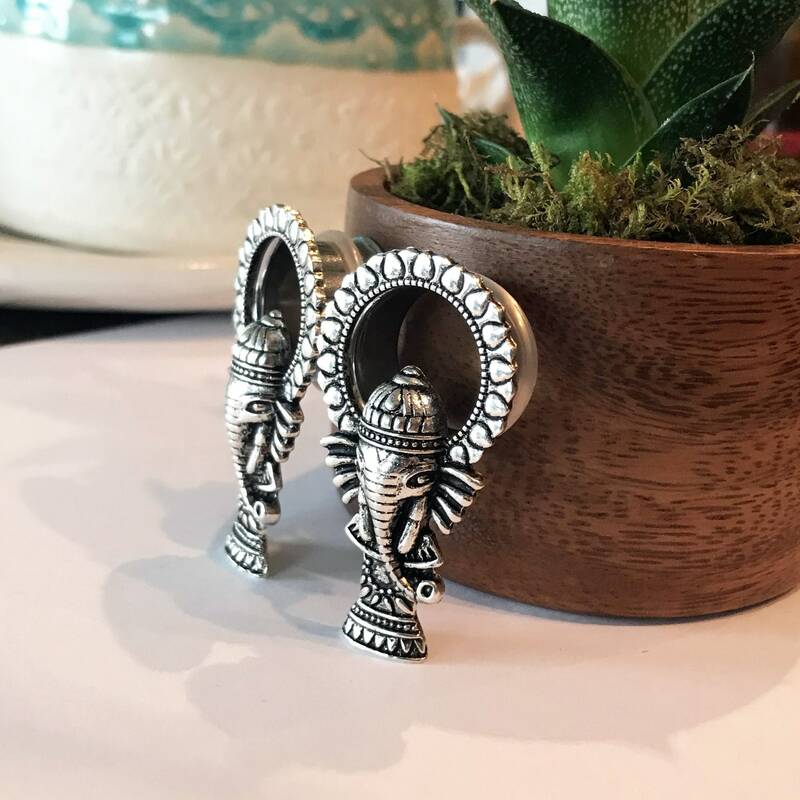 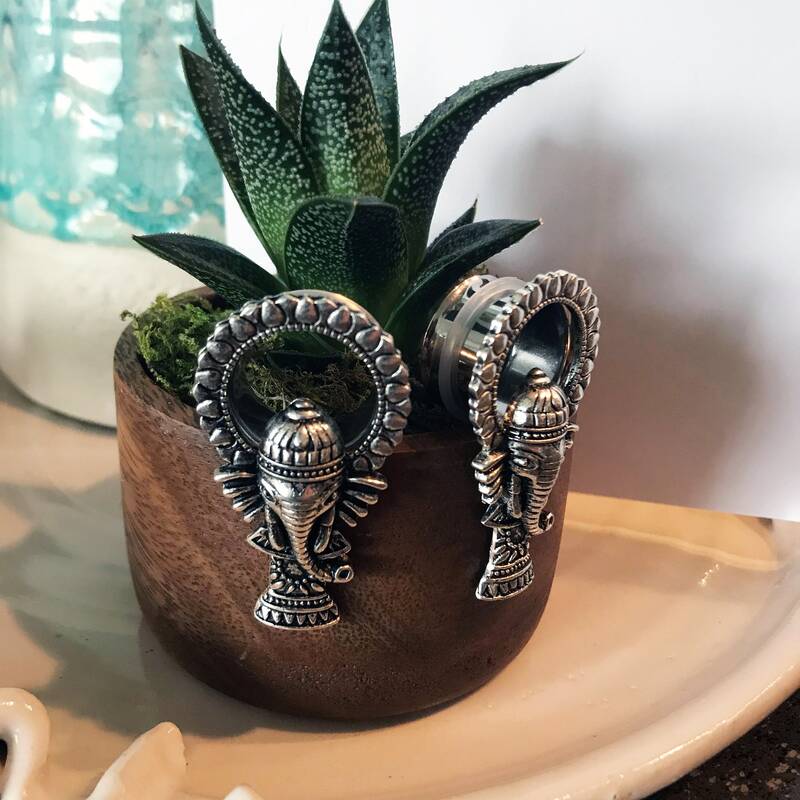 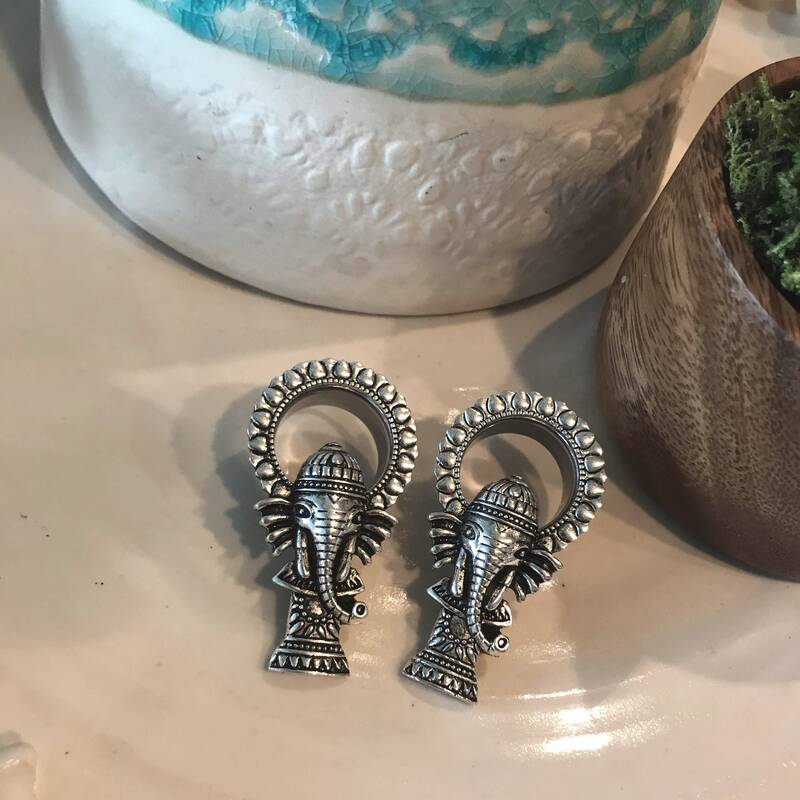 •These unique, highly detailed silver elephants resemble Ganesha of India. 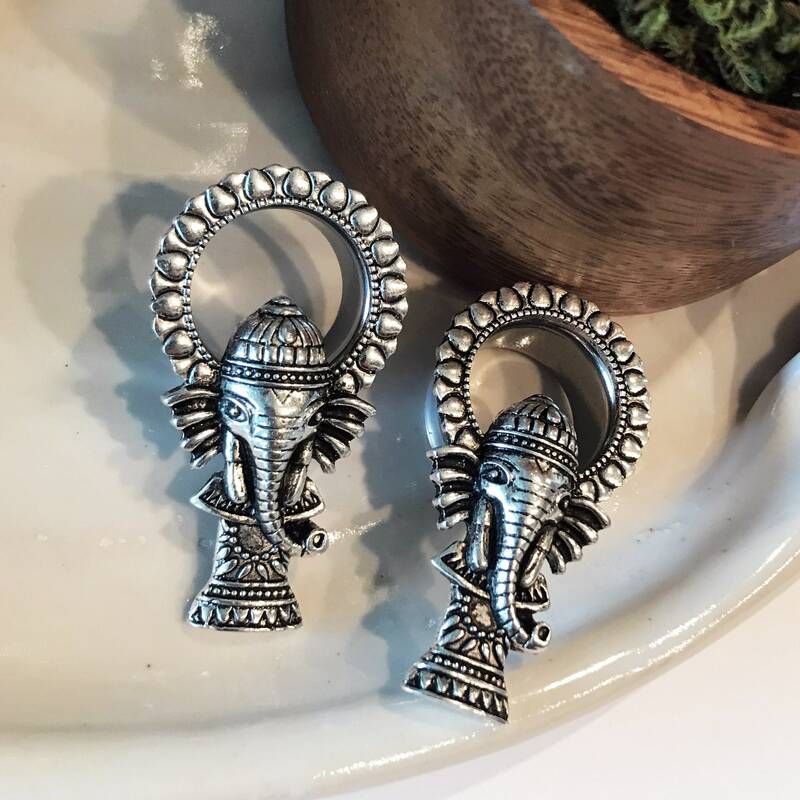 They have a beautiful design surrounding the tunnel and are backed by silicone o-rings to keep them from drooping forward. 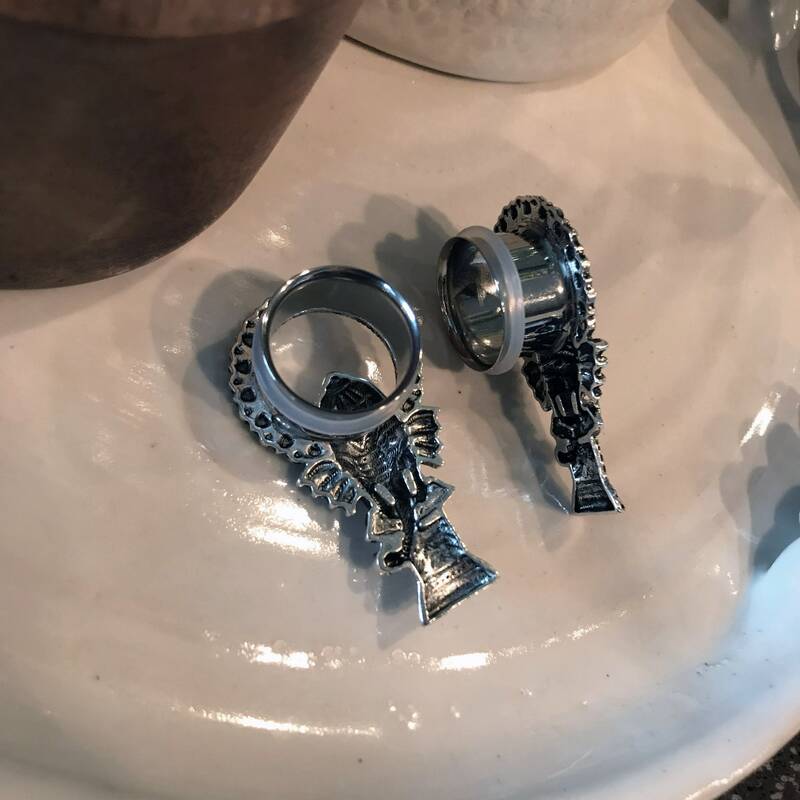 The bases are surgical steel double-flared tunnels. 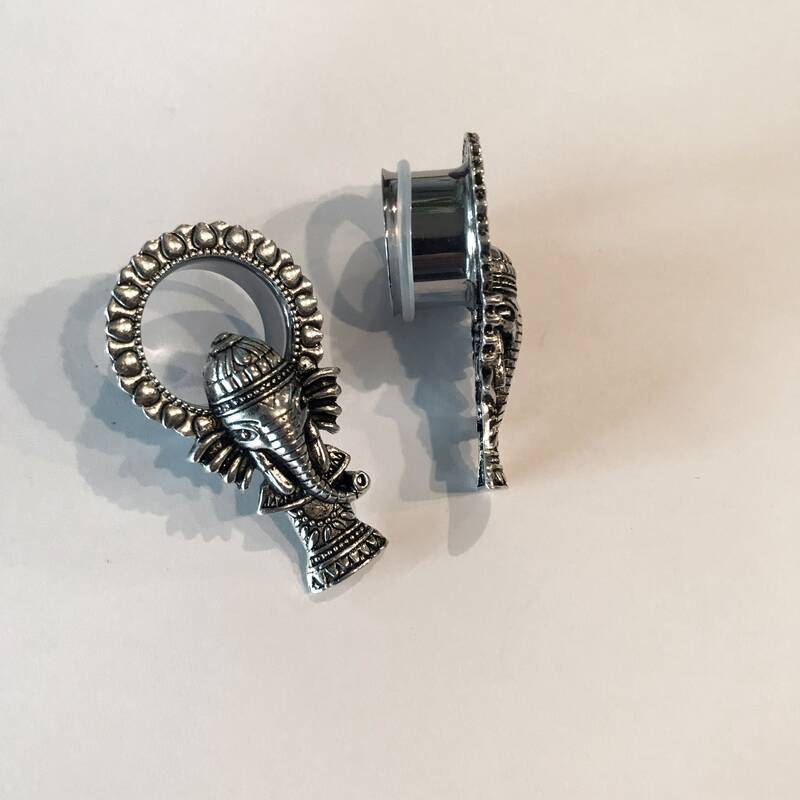 •The pair shown are 3/4" but I can make them in 7/8" and 1" as well.